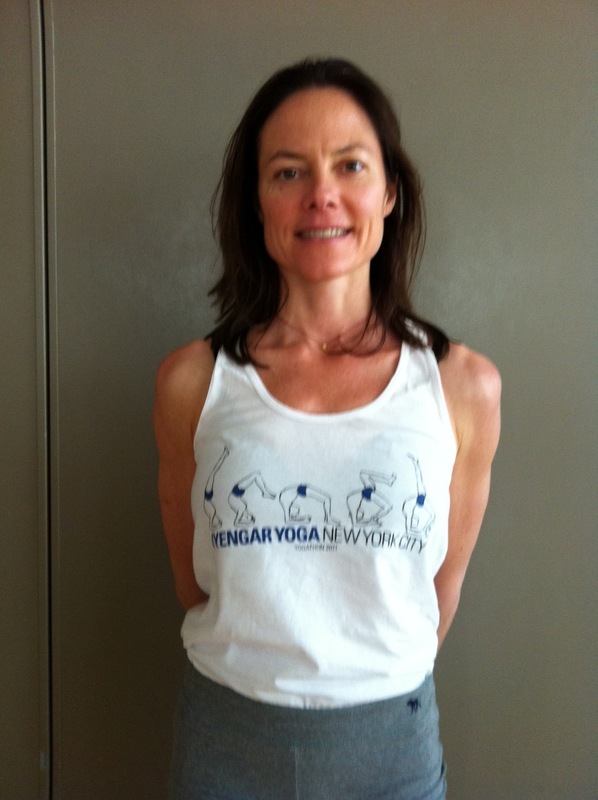 This is Lucienne Vidah, one of the twenty -three teachers at the Iyengar Yoga Institute of Greater New York. She is wearing the new limited edition tee-shirt that I designed to commemorate the up-coming Yogathon being held at the Institute on Sunday June 5th. The drawings of B.K.S. Iyengar practicing were extrapolated from one of the sequences in my animated short Yantra. 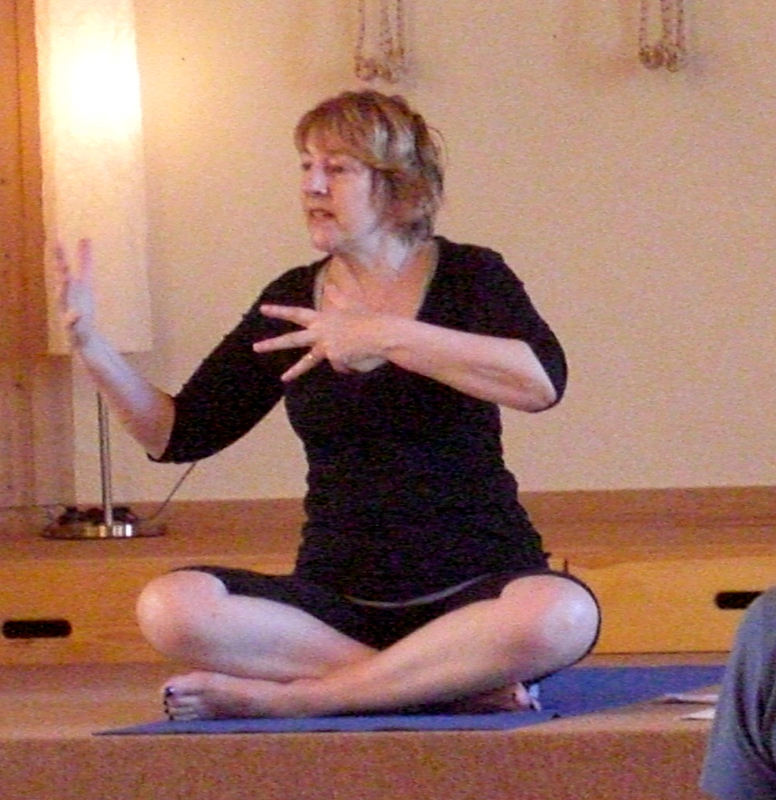 From Sirsasana, Guruji drops back into Viparita Dandasana, and then effortlessly moves into Eka Pada Viparita Dandasana. Dublin’s fair city and The Yoga House, Sweden. It’s been a hectic three weeks. Lindsey and I arrived in the UK early Monday morning on the 25th April. The drive from Heathrow airport to Swanage, Dorset is always a delight. As soon as you see Corfe Castle raising up through the early morning mist, you know that you are close to Swanage, and all is well. 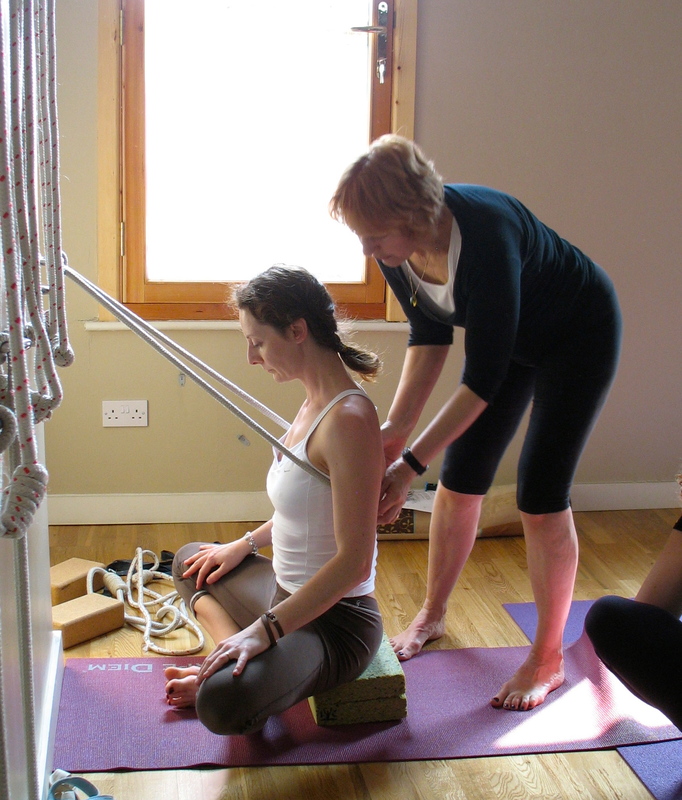 I spent the next weekend teaching a workshop for The Dublin Iyengar Yoga Institute. I flew from UK to the romantic city of Dublin on the day of the Royal wedding. The day before, I had watched the people of Swanage putting up flags and decorations and getting ready for street parties. I taught a mix of women’s classes and general classes. Here, I signed a lot of The Women’s Yoga Book.The students and teachers were warm and welcoming, a joy to teach and really a lot of fun. I have been invited back to teach next year! The following weekend, I taught in Sweden. Way up in the north, nestling in the pine forests in the little town of Piteå, is the Iyengar Yoga House (Inengar Yogaskolan). The building which was originally an old church has been beautifully renovated by Iyengar yoga teacher, Kristin Berglund and her husband Erik. Here I also taught a three-day workshop. I taught four classes on women’s health and two general classes. It was wonderful to have three sets of mothers and their daughters in the class. 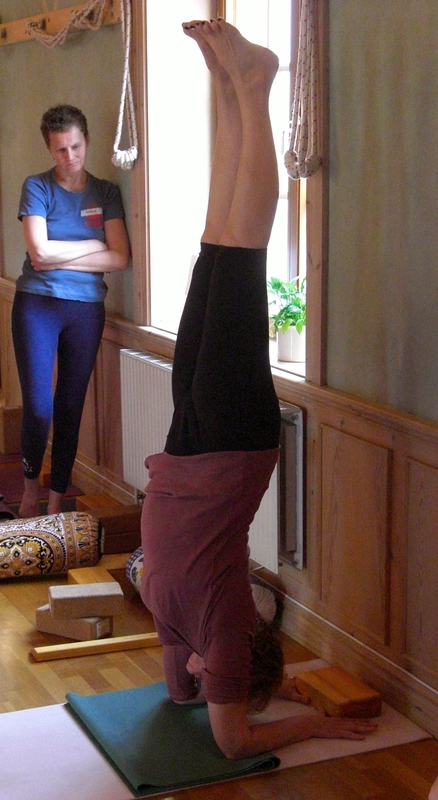 Like Iyengar students anywhere in the world, they were hospitable, focused and eager to learn. I feel grateful to be a part of this international Iyengar Yoga community. I’m happy to say that I have been invited back to teach next spring. Kristina Berlund on the right there.